It has been 50 years since Noam Chomsky first became a major public figure in the United States, after publishing his essay “The Responsibility of Intellectuals,” which argued that American academics had failed in their core duty to responsibly inquire into truth. Over the past five decades, he has paradoxically been both one of the most well-known and influential thinkers in the world and almost completely absent from mainstream U.S. media. Nobody has been more influential on my own intellectual development than Chomsky. But I recently realized that what I’ve learned from Chomsky’s work has had almost nothing to do with the subjects he is most known for writing about: linguistics, U.S. foreign policy, and Israel. Instead, where I feel Chomsky’s influence most strongly is in a particular kind of approach to thinking and writing about political, social, and moral questions. In other words, it’s not so much his conclusions as his method (though I also share most of his conclusions). From Chomsky’s writing and talks, I have drawn an underlying set of values and principles that I have found very useful. 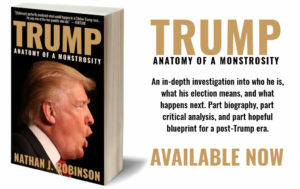 And I think it’s easy to miss those underlying values, because his books often either consist of technical discussions of the human language faculty or long and fact-heavy indictments of United States government policy. So I’d like to go through and explain what I’ve learned and why I think it’s important. The lessons I’ve learned from Chomsky have encouraged me to be more rational, compassionate, consistent, skeptical, and curious. Nearly everything I write is at least in part a restatement or application of something I picked up from Noam Chomsky, and it feels only fair to acknowledge the source. In the United States, “libertarianism” is associated with the right and “socialism” with the left. The libertarians value “freedom” (or what they call freedom) while the socialists value “equality.” And many people accept this distinction as fair: After all, the right wants smaller government while the left wants a big redistributionist government. Even many leftists implicitly accept this “freedom versus equality” distinction as fair, suggesting that while freedom may be nice, fairness is more important. Libertarian socialism, the political tradition in which Noam Chomsky operates, which is closely tied to anarchism, rejects this distinction as illusory. If the word “libertarianism” is taken to mean “a belief in freedom” and the word “socialism” is taken to mean “a belief in fairness,” then the two are not just “not opposites,” but they are necessary complements. That’s because if you have “freedom” from government intervention, but you don’t have a fair economy, your freedom becomes meaningless, because you will still be faced with a choice between working and starving. Freedom is only meaningful to the extent that it actually creates a capacity for you to act. If you’re poor, you don’t have much of an actual capacity to do much, so you’re not terribly free. Likewise, “socialism” without a conception of freedom is not actually fair and equal. Libertarian socialists have always been critical of Marxist states, because the libertarian socialist recognizes that “equality” enforced by a brutal and repressive state is not just “un-free,” but is also unequal, because there is a huge imbalance of power between the people and the state. The Soviet Union was obviously not free, but it was also not socialist, because “the people” didn’t actually control anything; the state did. There will be a new class, a new hierarchy of real and pretended scientists and scholars, and the world will be divided into a minority ruling in the name of knowledge and an immense ignorant majority. And then, woe betide the mass of ignorant ones!… You can see quite well that behind all the democratic and socialistic phrases and promises of Marx’s program, there is to be found in his State all that constitutes the true despotic and brutal nature of all States. This, as we know, is precisely what happened. Unfortunately, however, the bloody history of 20th century Marxism-Leninism has convinced many people that socialism itself is discredited. They miss the voices of people in the libertarian socialist tradition, like Bakunin, Peter Kropotkin, and Noam Chomsky, who have always stood for a kind of socialism that places a core value on freedom and deplores authoritarianism. It emphasizes true democracy; that is, people should get to participate in the decisions that affect their lives, whether those decisions are labeled “political” or “economic.” It detests capitalism because capitalist institutions are totalitarian (you don’t get to vote for who your boss is, and you get very little say in what your company does), but it also believes strongly in freedom of expression and civil liberties. The problem with utopians is that they’re not practical, and the problem with pragmatists is that they often lack vision. If you dream of elaborate perfect societies, but you don’t remain anchored in real-world realities and have a sense of how to get things done, all of your dreams are useless and you may even end up destroying the progress you have already made for the sake of an ideal you’ll never reach. But if you don’t have a strong sense of what the ultimate long-term goal is, you’re not going to know whether you’re moving closer to it or not. You can see this tendency at work in Noam Chomsky’s attitude toward the Boycott, Divestment, and Sanctions (BDS) movement against Israel. Chomsky is known as a critic of Israel, but he has received criticism from BDS members for questioning the efficacy of their tactics. This has led to suggestions that Chomsky “opposes BDS.” In the world of binaries, you have to either support something or oppose it. The idea of “supporting the goal of improving the welfare of Palestinians” and the tactic of boycotts, but opposing particular actions by the BDS movement does not fit within the existing binary. Likewise, Chomsky has been accused of rejecting the comparison of Israeli treatment of the Palestinians with Apartheid South Africa, with a critic saying he “dismisses the apartheid designation.” In fact, what he has tried to do is draw a distinction: In Israel itself, the racial division is not on the level with South African Apartheid, but in the Occupied Territories, it’s actually worse than Apartheid. But to some supporters of BDS, hearing that the situation within Israel is not as brutal as Apartheid will mean Chomsky is “dismissing” the Apartheid comparison, even though he actually thinks the situation for many Palestinians is worse than Apartheid. The nuance can be difficult to appreciate unless we set aside our existing binary classifications. One of Chomsky’s simplest principles is among the most difficult to apply in practice: You should judge yourself by the same moral standards that you judge others by. This has formed the core of his critique of U.S. foreign policy, and yet it is often insufficiently appreciated even by those that embrace his conclusions. Many people think that Chomsky is uniquely “anti-American.” In fact, his criticisms of the United States are so strong largely because when this elementary moral principle is applied to the facts, the conclusion is inevitably deeply damning. It simply turns out that if you judge the United States by the standard that it uses to judge other people, the United States does not look very good. If you take the facts of, say, the U.S. bombing of Laos (where the United States secretly dropped 2.5 million tons of bombs in the ’60s and ’70s, massacring and maiming thousands of peaceable villagers, 20,000 of whom were killed or injured in the decades after the bombing when unexploded bombs went off), and you imagine how it would appear to us if the roles had been reversed and Laos had been bombing the United States, you begin to see just how inconsistent we are in our evaluations of our own actions versus the actions of others. 500,000 people died in the Iraq War. If Iraq had invaded the United States and 500,000 people died (actually, the proportional population equivalent would be closer to 5,000,000), would there be any way that anybody in the country could conceive of Iraq as a “force for good” in the world in the way that the U.S. believes people should think we are? It’s laughable. If Vietnam had invaded the United States the way the United States had invaded Vietnam, could such an act ever be considered justified? This idea of moral consistency, of trying to treat like behaviors alike, is the simplest possible notion in the world. It’s so elementary that it sounds childish to even pose the questions. And yet the power of latent patriotic sentiment is so great that it makes a clear-eyed and fair assessment incredibly difficult. It’s hard to see the world through other people’s eyes, to see what our self-justifications look like to those who are on the receiving end of our actions. And when we do it, it’s deeply discomforting. But this is the foundation of Chomsky’s critique: It’s not enough to have “values” (e.g., “terrorism is bad”), you must apply those values consistently (i.e., if something would constitute terrorism if done against us, it must constitute terrorism if it is done by us). Chomsky is seen as being “anti-American” for pointing out that if the Nuremberg principles were applied consistently, essentially every postwar U.S. president would have to be hanged. But this is just a result of the application of consistency: The crime of “aggressive war” that was so forcefully condemned at Nuremberg has been committed repeatedly by the U.S. In both linguistics and politics, Chomsky often uses his famous “Martian coming to Earth” example: Try to imagine what our planetary affairs would look like to someone who was not part of one of the particular human societies, but was separate from them and able to see their commonalities. They would perceive the similarities between human languages, rather than the differences, and they would see the bizarre ways in which each country perceives its own acts as right and everybody else’s as wrong, even when the same acts are being committed. The principle of treating all human beings consistently has an incredible power to illuminate, because it helps us clarify what our values actually are and make sure we are following them. But it also helps us become true “universalists,” in the sense that we can begin to view things from a human perspective rather than a nationalistic perspective. Even though Noam Chomsky is not exactly known for the memorability or emotional force of his prose, he helped teach me to write. That’s because he writes and speaks in a very particular way: in clear language, maximally designed for people to actually be able to understand it. Chomsky is one of the few writers on the left who entirely shuns highly abstract theoretical lingo in favor of straightforward, plain-language argumentation. In his political writings he follows the principle, which I share, that it is the writer’s job to make himself understood, rather than the reader’s job to try to figure out what the hell the writer is talking about. This actually follows from Chomsky’s “libertarian socialist” politics. The great libertarian socialists have generally been incredibly clear writers. (Compare the experience of reading Rudolf Rocker’s Nationalism and Culture with the experience of reading Louis Althusser.) This is partially because they have a strong belief in “democratic education”: They believe that everyday people should have access to knowledge and understanding, and that intellectual endeavors shouldn’t be the purview of a specialized caste of privileged people. They believe that ordinary workers should get to read the classics and to understand science and mathematics, because they do not believe in social class and hierarchy. The libertarian socialists have always been critical of the more “Leninist” mindset, which sees social change coming from a “vanguard” of intellectuals who know what’s best for the people. For the anarchistic socialist, the power to change their lives should be in people’s own hands. Thus writing, even on complicated subjects, should be in as clear language as possible, because it shouldn’t just be available to academics and people who have had elite educations. Chomsky follows this principle through in a number of respects. Throughout his life, he has preferred to give talks to small activists, church groups, and community organizations rather than to students at Ivy League schools (partly because he believes the latter are less likely to listen to anything). His writings can be complex, and sometimes require a lot of patience and mental effort, but they are never intentionally “difficult,” and their meanings are always clear. Unlike many academics, who bury their points in layers of specialty jargon, Chomsky believes the job of a writers is to communicate the point, and to do so successfully. This one is a particularly important one for me. Chomsky’s principle is that you should examine the quality of ideas themselves rather than the credentials of those voicing them. This sounds easy enough, but it isn’t: In life, we’re constantly expected to defer to the superior wisdom of people who have superior status, but whom we’re pretty sure don’t know what they’re talking about. There’s always a little part of us that goes “Well, I know it sounds like he doesn’t know what he’s talking about, but he’s my professor/priest/superior so perhaps I’m just stupid.” Chomsky talks a lot about the way social status and privilege are generated; rewards and accolades often flow to people not on the basis of their superior knowledge, but on the basis of their ability to convince people that they have superior knowledge, which is quite a different thing entirely. People at the top often try to convince those at the bottom that you get to the top by being smart. In fact, Chomsky says, success is probably driven by the possession of “some combination of greed, cynicism, obsequiousness and subordination, lack of curiosity and independence of mind, self-serving disregard for others, and who knows what else.” Education, he says, selects for passivity: You do well if you flatter your teachers by repeating what they think, you do less well if you refuse to go along with the assignments you’re given because you think they’re stupid. The education system in the United States, Chomsky suggests, does not really educate. It subdues. A genuine education involves helping someone through a process of self-discovery and curiosity, not just learning to regurgitate facts. Thus, because the people who do best in our current education system are those who got the most As, as opposed to those who developed their minds the most, we shouldn’t trust a person to be wise just because they’re educated. This is something a lot of people realize intuitively, but there are still a lot of “educated fools” who are listened to and given a lot of credence. But what I love about Chomsky is that this isn’t an embrace of ignorance or “anti-intellectualism.” It’s anti-intellectual in that Chomsky opposes the idea of having a “secular priesthood” of intellectuals who “who are a special class who are in the business of imposing thoughts.” But it’s not anti-intellectual if intellectual means the use of the mind; in fact, this is precisely what Chomsky is encouraging. And it doesn’t mean that you shouldn’t learn from experts. Rather it means that you should try to critically evaluate what an expert says, and determine on your own whether to accept it, and that you should judge an expert by her ideas rather than her curriculum vitae. Noam Chomsky’s view of the correct way to do “science” is instructive. Many people on the left are critical of “science,” or what they call “scientism,” because they believe that it imposes some kind of rigid “technocratic” or “Enlightenment” framework on how humans should think, suggesting that Western forms of reasoning are superior and insisting on a kind of “certainty” about scientific belief that ignores differing points of view. In turn, many people in the sciences reinforce this conception by defending a dogmatic conception of science; people like Sam Harris and Richard Dawkins, who use mockery to defend what they call “reason,” affirm the worst stereotypes about the “scientistic mindset” that cannot see its ignorance due to its certainty of its own rationality. Chomsky’s conception of science is much more helpful, and once again illustrates his ability to get beyond simple binaries (i.e., you either accept “scientific fact” or you dismiss the “scientistic mentality”). Chomsky (and to be fair, he is hardly alone in this) views science as uncertainty rather than certainty. The scientific approach to understanding the world is an effort to do the best you can given the limits of your reason, but far from being blind to those limits, they are themselves a central subject for scientific investigation. I like this point of view because I think it charts a helpful course between the extreme of “scientific certitude” and what we might call “radical relativism.” It suggests that we should investigate the universe using scientific tools, but that the phrase “scientific tools” doesn’t refer to certainty and confidence, but to doubt, curiosity, and a cognizance of our own limitations. Science is not about declaring that you know what the universe is, it’s about trying to think about the best explanations. Testing hypotheses, discarding hypotheses, asking yourself why you’re testing hypotheses to begin with, asking yourself what you even mean by the word hypothesis, etc. It also helpfully collapses the distinction between science and philosophy. Inquiring into how you know what you know is part of the scientific process, not something separate from it. Chomsky is a lot more like the broad-mined “natural scientists” of the 18th century than the highly specialized academics of today. “Natural science” didn’t see a dividing line between science and philosophy; instead, it saw one task: understanding as much as possible, with whatever tools we have available. Reason is a critical part of that, but reason must also be used to recognize the boundaries of its own capacities. For libertarian socialists, science is also conceived of as mirroring the process of participatory democracy: Knowledge is pursued as a collective enterprise, with each person giving their bit, never reaching perfection, but hopefully moving us towards a better and more knowledgeable state of affairs. Like democracy, it is messy, and moves in fits and starts, but it’s the best means we know of of trying to come to understand the universe together, just as democracy is the best means we know of for trying to govern ourselves. Because the libertarian socialist tradition has always so strongly valued freedom and deliberative democracy, it has a strong commitment to freedom of expression. Unlike many forms of authoritarian socialism, which swiftly produce justifications for why certain forms of reactionary speech must be suppressed for the good of the multitude (or because “speech is power and power is hierarchy” or any other justification you like), libertarian socialists generally believe very strongly in permitting all points of view and generally look skeptically on efforts to respond to morally objectionable speech with censorship rather than with more rational and persuasive speech. Noam Chomsky’s commitment to radical free speech has landed him in trouble before, even with other members of the left. Most notoriously, he wrote in support of the free speech rights of Robert Faurisson, a French literature professor who had denied the existence of Nazi gas chambers and called Anne Frank’s diary a forgery. Faurisson was dismissed from his position, repeatedly convicted in the French criminal courts, and even brutally beaten and sprayed with stinging gas. Chomsky, who has called the Holocaust “the most fantastic outburst of collective insanity in human history,” wrote an essay defending Faurisson’s right to free speech and signed a petition drafted by Faurisson’s (Holocaust-denying) supporters calling for him to be allowed to freely publish his “findings” and for the government to “do everything possible to ensure [Faurisson’s] safety and the free exercise of his legal rights.” French intellectuals pilloried Chomsky for his support of Faurisson, and he has repeatedly been accused of being an apologist for Holocaust denial. Noam Chomsky is sometimes accused of holding the “smoke-filled room” view of politics: Everything is a grand conspiracy among the powerful to oppress the powerless. In fact, this is precisely the opposite of the Chomsky view of conspiracy. The real view is, again, a thing of nuance: the belief that oppression does not require a conspiracy, and that the “smoke-filled room” concept misunderstands how power works. Chomsky is a consistent critic of conspiracy theories. Why? Because generally there doesn’t need to be any kind of “conspiracy” to create the kinds of gross inequalities and cruelties we see in our society. Most of it is right out in the open. Furthermore, conspiracy theories overcomplicate things. For example, in order to believe the “Bush did 9/11” conspiracy, you have to believe in an incredibly capable and competent government, that was able to plan and execute an extraordinary destructive act, without anyone leaking or blowing the whistle at any of the many levels it would have required to do such a thing. That requires a view of government competence that is hard to maintain. A far simpler, and more plausible theory, is simply that the Bush administration used the 9/11 attacks to its advantage, that it found them politically convenient for carrying out its preexisting plan to invade Iraq. That doesn’t require any kind of conspiracy. Likewise with the CIA: We know about many of the agency’s foul deeds; its murders, coups, and torture. The problem is not that the information is hidden in darkness, it’s nobody actually holds the agency accountable. The same goes for Chomsky’s theory of the media, the so-called “manufacturing of consent.” It’s accused of being a conspiracy: People are stupefied by a corporate media that gathers to plot ways to control them. In fact, it’s nothing of the kind. It’s a theory based in economics and sociology more than anything else, a theory that says the media has no economic interest in providing serious informational content, that in a profit-driven media, the incentives are going to be toward providing entertainment rather than material that serves the public good and truly illuminates news consumers. That’s not the result of a malevolent conspiracy drawn up by executives who want to turn the public into zombies; it’s just what happens when people want to make a lot of money. Never attribute to conspiracy what can be explained by the operation of rational self-interest. Chomsky speaks frequently about how curiosity and the path to knowledge begin by doubting the things that seem most certain. As he says, “willingness to be puzzled by what seem to be obvious truths is the first step towards gaining understanding of how the world works.” His investigations into language, which ended up revolutionizing linguistics, were driven by the desire to answer simple questions, like: “Why is it that even young children are able to use language in so many different kinds of ways?” It often turns out that the simplest questions are the ones that are the most difficult to answer, or the ones that people have overlooked because they assume we already know the answers. Chomsky’s willingness to ask very basic questions and ask simple things has strongly affected my own thinking. It’s easy to feel as if simple questions are stupid questions; there’s a fear of seeming childish by saying or asking something obvious. Getting over that fear was tremendously useful for me, because it enabled me to approach the questions that I felt were important but that it seemed as if everyone must already know the answers to. For example, it has led me to ask things like “Why don’t we talk about nuclear war more?”, “Why are public schools good?”, and “Are we talking about climate change in a useful way?” I spend more time wondering about issues I implicitly took for granted, like how I know what my values are and why I think the things I think. I wonder why people say certain things, or dress certain ways, or believe certain things. 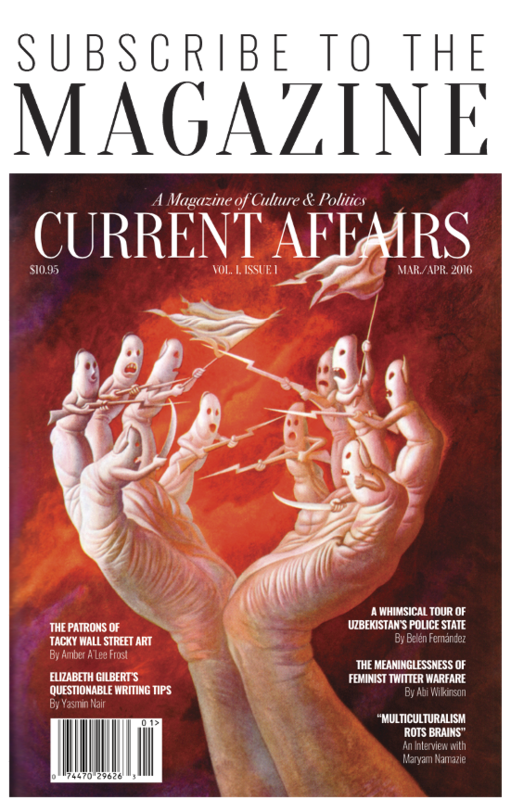 (In fact, Current Affairs began with a Chomsky-type “simple question”: Why is it that even though I’m a leftist, I don’t enjoy reading any of the leftist periodicals?) This willingness to look at the things you take for granted with a new kind of skepticism or puzzlement is an incredibly valuable tool, and can make you both more curious and more humble. 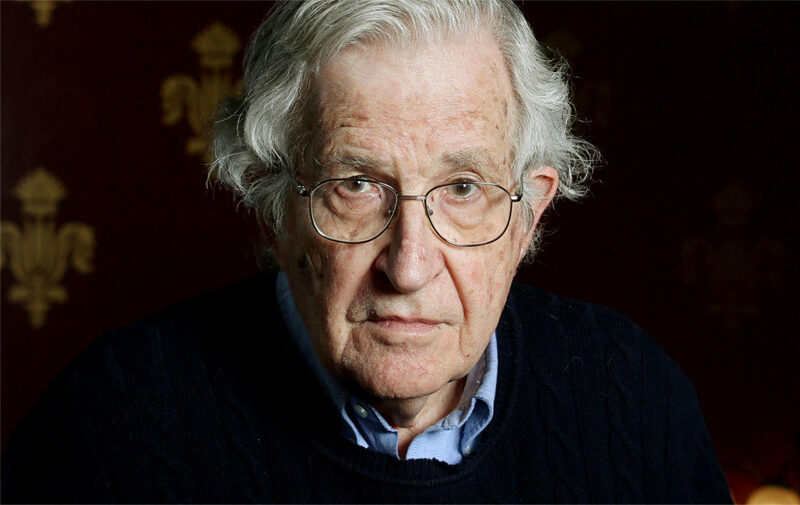 Noam Chomsky was once asked which he enjoyed producing more, his linguistic writing or his political writing. The question apparently took him by surprise; he didn’t know why anyone would think he “enjoyed” doing his political writing. He did it because he felt morally compelled to do it, not because it was pleasurable. I am skeptical of anyone who “likes” politics. Perhaps if we lived in a world without injustice, and we were just debating what color to paint the new village merry-go-round, it would be possible to find politics a source of enjoyment. But in a world where there are serious human stakes to politics, it is not a game. Chomsky came into political activism because he was horrified that hundreds of thousands of Vietnamese people were being doused with napalm by the United States military. The idea of “liking” politics seems perverse. Those who know Chomsky have said that he is motivated by a deep and sincere compassion for the victims of atrocities committed by his country; Fred Branfman recalled a visit with Chomsky to the site of U.S. bombing in Laos, where Chomsky wept after hearing stories from Laotian refugees, displaying the “most natural, human response” of the foreign visitors when compared with the stony journalists who simply took notes. Chomsky’s public persona appears somewhat prickly; he is serious, he is often acidic in his tone, and he can seem self-confident to the point of arrogance. To those, like Sam Harris, who have been on the receiving end of Chomsky’s somewhat merciless rhetoric, the idea of him as a “nice person” would seem strange. And yet, Noam Chomsky is a nice person. Or at least, a person who is very kind and generous with his time. It’s well-known that Chomsky responds to nearly every email sent to him by a member of the public. And when he does so, he is never rude or patronizing. In fact, he is almost limitlessly patient. I know this from personal experience, having emailed him quite foolish questions several times, despite not knowing him at all personally. (He also gave me incredibly kind words of encouragement after I sent him a book I had written, which he read in full.) I’ve never seen anything quite like Chomsky’s willingness to engage with strangers. I know plenty of far less significant people who will only respond to people they deem notable or influential enough to be worth corresponding with, yet in keeping with the libertarian socialist principle that everyone is equal and deserves equal access to knowledge, Chomsky replies to them all. It makes me feel ashamed of my own terrible emailing skills; I have tens of thousands of emails in my inbox that I’ve failed to reply to as they’ve piled up. Meanwhile, nearly every single person who sends Chomsky a note gets a response. The perception of Chomsky as “arrogant” arises largely from the fact that he doesn’t really care how he is perceived. In private, he is warm and generous, but in public he is a stern and uncompromising debater. There’s a kind of “selflessness” to him that I’ve never really seen in another person. He deprecates his own achievements in linguistics, he doesn’t care about awards or prestige, fame means nothing to him, and he takes no real pride in his political work. Instead, if you ask him, he says he feels like a failure for not having been able to do more good with his life. In Tom Wolfe’s ludicrously ill-informed recent book on Chomsky, Wolfe portrays him as haughty and self-important. But it’s a very strange thing: He isn’t this at all. He’s a genuinely humble person who cares about other people. The “character” aspect has been just as important as any intellectual lesson for me. I always try to remind myself that I should be generous to strangers, should cultivate humility, and should always focus on the work rather than on the rewards. I therefore don’t follow any kind of “Chomskyan” system, or see him as a “role model.” He is simply a person, a person from whom I happened to have learned a fair number of things. But I have learned many other things from many other people, and I will write about them too. I also have a number of criticisms of Chomsky. I think he is often insufficiently skeptical of left-wing sources. I think he dismisses many arguments too quickly without being fair to them. I think his insistence that he doesn’t use “rhetoric” is false. I think he has too hastily signed his name to a couple of questionable things. I think he has maintained some mistaken positions too long in the face of contrary evidence. And there are plenty more. But one of the great anarchist slogans is: No Gods, No Masters. The whole point is not to replace one idol with a better one, it’s to get rid of idols. I think Chomsky would be very concerned if I didn’t have criticisms. It would mean I had missed the entire point, which is that the truth is what matters, not the person investigating it, and since nobody has infallible access to truth, nobody should be beyond criticism. None of us is perfect, we’re all just doing the best we can. If I were to summarize the main points I’ve taken from Chomsky’s writings and talks, they would be this: You should have both compassion and consistency, care about freedom and fairness alike, and be rational, curious, and humble. Note again that this doesn’t matter whether you are a linguist or a political scientist; it’s not the subject that matters so much as the method. I have a crude generalization to offer (feel free to ignore it): People I have met whose political awakenings came through reading Chomsky have consistently tended to hold more humane and less dogmatic political beliefs than those whose political awakenings came through reading Karl Marx. I have met compassionate and thoughtful Marxists, and I have met obnoxious and unthinking Chomsky fans. But I believe that the way Chomsky introduces a person to politics, by offering observations and facts rather than an elaborate ideological structure, lends itself to more modesty and reflection than some of the more systematized political tendencies. Of course, different people can come to the same destination by different paths, and the above lessons are not really “Chomsky lessons.” They are simple human principles, easily accessed by contemplation and reason. But for me, personally, it would have taken a lot longer to reach them if it weren’t for the guidance of Noam Chomsky, who has often been the one voice there to let me know that I’m not crazy, that the questions I have are reasonable, and that the thoughts I have are worth thinking.